Hello there! 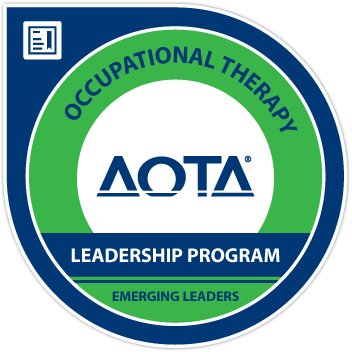 If you’ve come here looking for advice about how to successfully apply to an occupational therapy program, you’re in the right place! All of the posts in my “Gotta Get Into Grad School” series can be found here, and they cover topics ranging from writing essays to getting recommendations to using OTCAS. All of these posts are based on my VERY RECENT experience applying to U.S. occupational therapy programs in the 2013-14 cycle, and I hope that the information and resources here will make your journey to becoming an OT a little easier! How to Get Occupational Therapy Observation Hours: This post outlines 10 steps to help you have a successful OT shadowing experience and includes a list of OT practice settings. A Day in the Life of an OT Student: I wrote a guest post for the OT Cafe blog about what it is like to be an OT student; check it out to learn more about what you can expect in OT school! So accurate =) Although I think you need a post on racing to the GREs at top speed in the rain. It was a critical experience. P.P.S. Thankful editee return five!! Your determination is awesome, and I’m sure the third time will be the charm! I’m glad my resources could help you, and best of luck in this application cycle! Hello! So, I’ve been accepted to a newly accredited OT school in Michigan, Davenport Univeristy. However, the results of the class’s NBCOT will not be available for a few more months, and I have to decide or not to go there before then. What should I do? Is it unwise to commit to a school when their board pass rates are yet to be seen? Thanks for commenting! That’s a tough question, and without more information about your personal situation or the program itself, I’m not really in a position to offer advice. I suggest talking with the OT program’s director and students to help guide your decision making. You may also want to check out forums related to this topic in the OTD Forums on the Student Doctor Network website. It’s a tough choice, and I wish you the best of luck! Hey Kristin – thanks for commenting! It’s exciting to hear that you’ve been pursuing your dream of being an OT for several years, and you’re getting closer and closer as you complete your college courses! Even if your grades or GPA aren’t outstanding, I think one of the most powerful tools you can use for your OT school applications is a strong, well-reasoned, and purposeful essay. Wherever you choose to complete your shadowing experiences, take notes and consider how what you’re learning and how the patients you are seeing will impact your future as a professional. I would also recommend establishing a relationship with a career counselor who you trust to give you specific guidance on how to strengthen other elements of your application. Finally, don’t give up!! Taking courses is important, but being passionate and driven matters too. Even if you don’t pass a course on the first try or get into OT school on the first try, just know that if it’s something you want to do, you will get there. Feel free to email me at gottabeot1@gmail.com if you’d like to talk more about the OT school application process or anything else, and best of luck to you!